4 - After clearing those positions in the file, save it. Your PST is now corrupted. 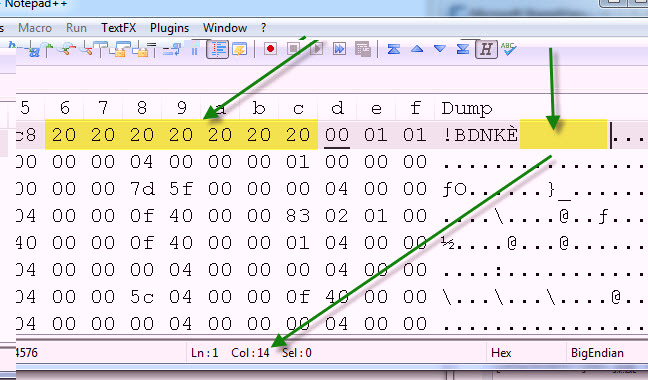 On Win2K and WinNT systems, the executable is located in C:\Program Files\Common Files\System\Mapi\1033\NT. You can also find it on the Office 2000 CD-ROM in Drive:\Pfiles\Common\System\Mapi\1033\NT. In WinXP, the file is located in C:\Program Files\Common Files\System\Mapi\1033. For additional information on the Inbox Repair Tool, see Microsoft Knowledge Base article 287497. If you have Office 2007 however either use Windows Vista or Windows 7 etc... SCANPST.exe should be stored in the Office 12 folder (c:\program files\microsoft office\office12\scanpst.exe) or scanost.exe for that matter as well. 6 - After creating a backup, the Inbox Repair Tool repairs the damage and recreates the PST. Open the new PST in Outlook. The Deleted Items folder should contain all removed messages, so anything you've emptied will be restored. The KEY here is to use a BACKUP of the .PST or .BAK file you want to restore. oh my god... yes this actually works! Thanks for documenting this. I did this once but couldn't find the how-to in order to repeat it again. word up my friend !!! Depending on where your trying to copy the files, you may have an issue depending on if you have Admin rights etc... What I suggest is to create a folder here: c:\tempmail then copy the PST file there. In regards to opening the file with Notepad. 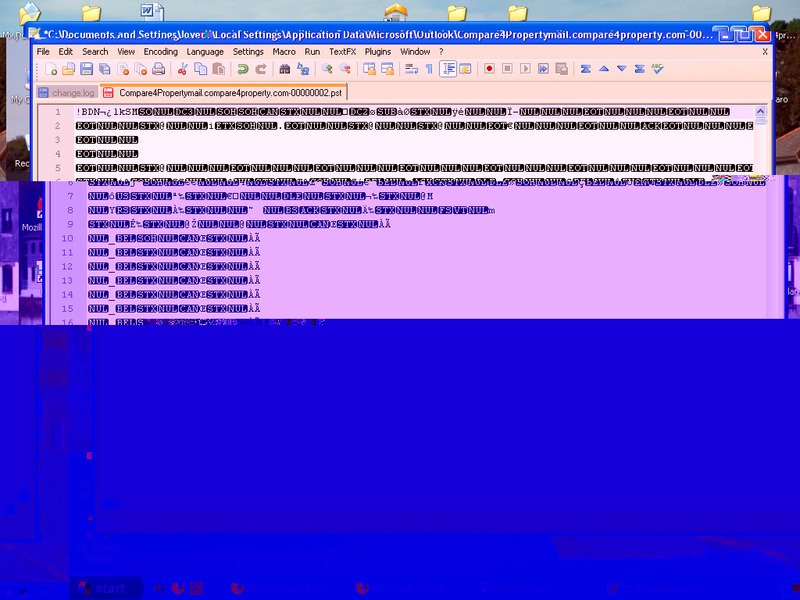 No... You need to open the .pst file using a valid HEX editor. Notepad++ is the one I use however if you google the internet for free hex editors, I'm sure you will find one you can use. This isn't really that EASY to do unfortunately... but if you know your way around a PC, you should be able to figure it out. Worse case, you can upload the .pst file to a drop using drop.io and I can do it for you then send you a repaired PST file. Let me know if you want to go down that path. Only issue there..... now a guy on the internet has your .pst and emails. Sure, you can trust me BUT, how do you know that. Okay I downloaded the notepad and opened the pst. file with it but I can't understand what to do from there. I've attached a screen shot, I can't understand deleting positions 7 through 13 with the space bar. Ok I've done this so I'll explain. Please remember - this is not for the FAINT OF HEART! 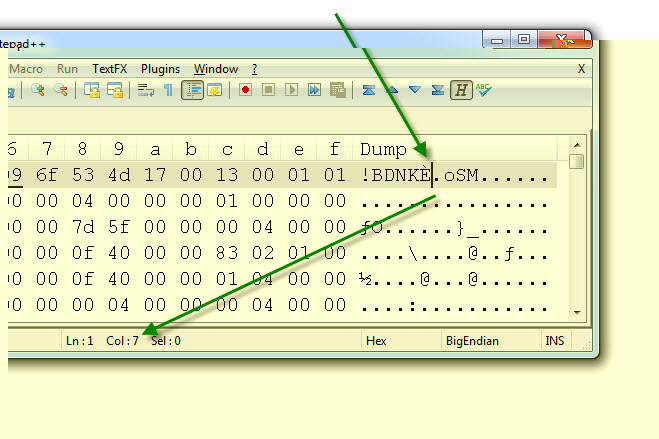 Step 4 - Enable the HexEditor Plugin. At this point the Hex-Editor will install and tell you to close your Notepad++ to save the changes. I appreciate how simple you made it for me. To Echo MrMonk21, VERY nice job Vadim! I've ran through this a few times but didn't know about the built-in plugin manager for Notepad++. Very nice. MrMonk21 - Keep us updated on your progress. I'm hoping to hear your golden on the email recovery! Sorry to resurrect an old post but I could do with some help trying to recover emails that have been deliberately deleted from a work computer. I have followed the instructions but am having some trouble. When I move the cursor to column 7 row 1 pressing the space bar does not delete anything, the cursor merely disappears and it looks like the pressing of the space bar is doing nothing. This is a late reply.... but are you still working on this?